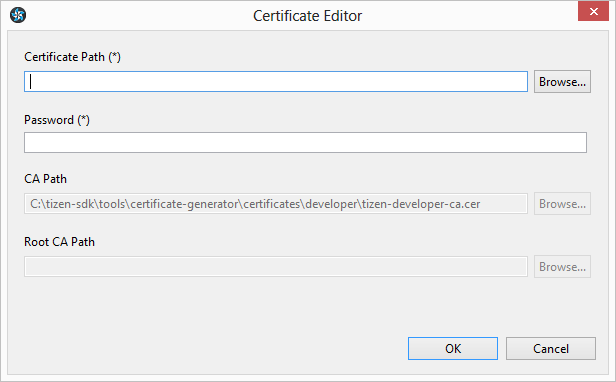 One of the very first things you will need to do when creating your Tizen app is to generate a certificate so that you can sign the app and thus be able to publish and run the app in the Tizen Simulator. There are 2 ways to create your certificate, the method I’m describing below uses the certificate generator tool via it’s command line interface. I will assume that you have already installed the Tizen IDE. 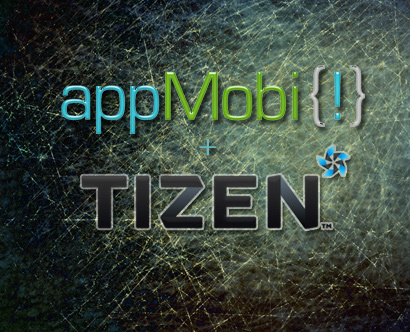 Navigate to the Tizen IDE’s install folder and go to tools/certificate-generator/. 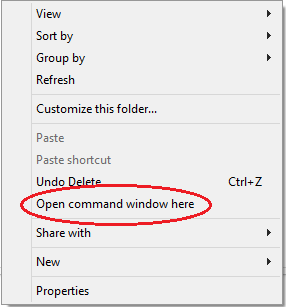 Once you are looking at the contents of that folder hold the SHIFT key and RIGHT-CLICK on the folder – a menu appears and among the options is to “Open command window here” – click that option. The certificate generator tool creates your p12 file and tells you where it is, for example “c:\tizen-sdk-data\keystore\author\SOMETHING.p12”. Note that on my computer the “c:\tizen-sdk-data” directory was hidden so you may have to manually enter the path or change your folder settings to reveal hidden files. 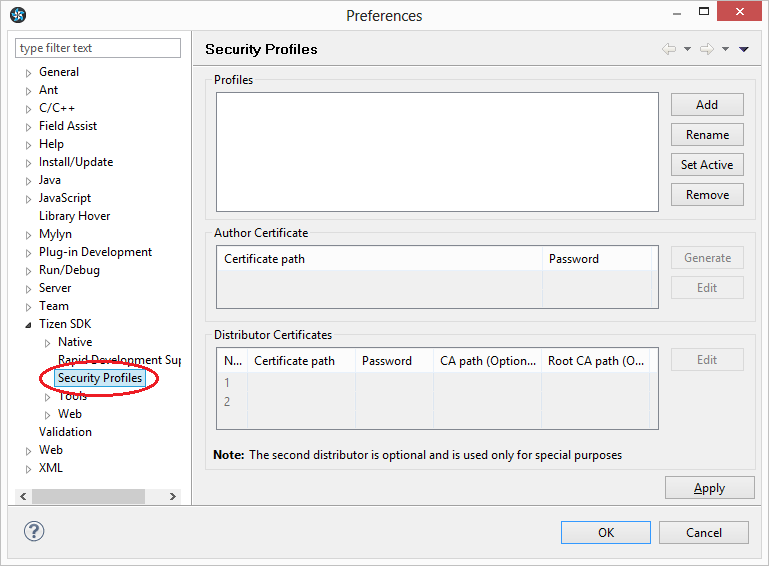 On this screen click the “Add” button to add a new profile – to keep things simple re-use the alias that you entered when creating your certificate. Under “Author Certificate” click the “edit” button. The Certificate Editor window appears – locate your p12 file (as mentioned above the “c:\tizen-sdk-data” is a hidden directory so either manually enter the path or change your system settings to show hidden files/folders). Once you’ve entered the path to your certificate and have entered the password click “apply” and then “OK”. Intel’s latest release of the Intel® XDK is now available. This latest release provides enhanced performance, UI responsiveness, UI design, more openness, and standards support. Discover how the latest Intel® XDK tools can enable amazing users experiences across multiple platforms with faster results. App Framework 2 — improved APIs for responsiveness, native and custom themes for iOS*, Android*, and Windows* 8. 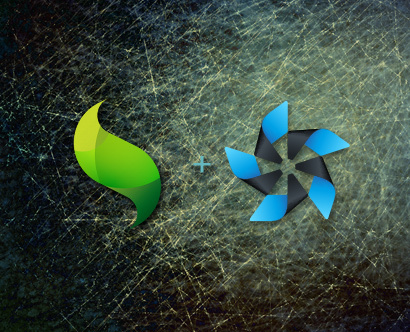 The Intel® XDK is an integrated HTML5 App Development front-end for true cross-platform apps for multiple app stores and form factor devices. It provides the same familiar, powerful cross-platform tools, new names, more capability, and works with the full set of appMobi* services. Let’s build some great apps!